Good luck solving this one today -- I'm out and about today (might even see on of these! 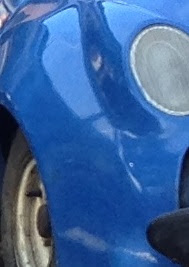 ), but will try and check in every once in a while to see you guys fail miserably in identifying this thing. Original picture...and no I don't know the people in the photo. Great job Stan et al. 2nd that!! Bumper car from a kid's ride! Have a turkey leg on me! Sorry, 7th photo down on the page above. So is DT gonna tell us what this actually is and show us the full picture? Is this something that is for sale somewhere? I think @Stan Beyerman was right about it being an original Disney Autopia car. If it's for sale I'd be curious to see the listing, but I have not been able to find it on ebay. 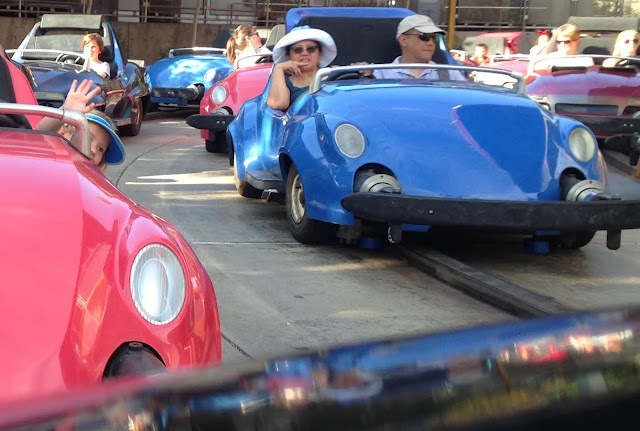 Sorry, got distracted by shiny things and never followed up with this post...but YES, this is a Dizzyland Autopia car, and YES, I did ride one on Monday! New photo (non-cropped above).